Another Bloggiesta has come to an end...I'm bummed, but feeling pretty good. I got a ton done and I always end up finishing these events feeling not only super productive, but also energized about blogging! I want to say a big THANK YOU, THANK YOU, THANK YOU to Suey at It's All About Books and Danielle at There's a Book for hosting this. Look into possible new blog design - Decided that I really like my blog design and so I am going to keep it as is for the time being. Time spent during day 3: 9hrs. Current running time: 26 hrs. All in all it was one productive weekend and I already have another list of things to do for the next Bloggiesta, which will be March 29-31, 2013. Now I am excited to visit everyone and see how much they got done and see if I should be adding more to the new list!!! First line: As Dory Finn pulled her twelve-year-old Pathfinder up the drive to her little house in the country, she noticed the engine was skipping, and something was making a very ugly noise. Synopsis by B&N: New York Times bestselling author Robyn Carr takes readers back to her beloved Virgin River country in this heartwarming tribute to Rhonda Clemons, founder of Zoe Institute and a winner of a Harlequin More Than Words award. By discovering a seed of compassion and nurturing it to effect real change, the dedicated women selected as Harlequin More Than Words award recipients make our world a better place. To celebrate their accomplishments, bestselling authors have honored the winners by writing short stories inspired by their lives and work. This special eBook is yours at no charge because Harlequin is committed to celebrating women's efforts and supporting the causes that are meaningful to them. By sharing Rhonda Clemons' story, we hope to turn awareness into action and mobilize others to make a difference. To find out more or to nominate a woman you know, please visit HarlequinMoreThanWords.com. My thoughts: This short novella by Robyn Carr is loosely part of the Virgin River series. It's a quick read that leaves you feeling quite emotional and inspired. Based on the real-life story of Rhonda Clemons, we find out all about the Zoe Institute. Dory Finn is a single mother, trying to make ends meet and raise her two young children. Coming off an abusive relationship, she has sworn off men, and that includes her do-good neighbor Clay, who just happens to not only be a nice guy, but good-looking to boot! Dory works at the local supermarket but also does volunteer work at local women's center, a place where single women can get the support and help they need to move on with their lives. Can Dory overcome her issues and let in Clay? Is Clay willing to give Dory time to adjust to the possibility of being involved with another man? As I mentioned earlier, this is loosely part of the Virgin River series and there are a few appearances from some well-loved characters. Mel, as a nurse practitioner and midwife, her skills are often relied upon at the shelter that Dory volunteers at. Paige is also mentioned as having used the shelter herself after her divorce. This was a very quick read, but it still leaves its mark. Highlighting all the good shelters like the Zoe Institute do was a great idea - I never realized that there are shelters out there not only providing single mothers with the basic like food and shelter, but also workshops on everything from money management to job training. Great idea to use a story to get the word out about all the good these shelters do! 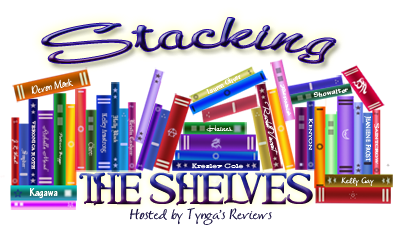 Day 2 of Bloggiesta, being hosted by Suey at It's All About Books and Danielle at There's a Book, has come to an end and now we are on to day 3. Another productive day!!! I spent quite a lot of time updating my Review Archive that I had created last Bloggiesta and then never touched again until now - what a pain that is to update it! Today I am going to focus on writing those outstanding reviews - do I dare hope by the end of today that I will be all caught up? Time spent during day 2: 10.5 hrs. Current running time: 17 hrs. As always, I welcome any feedback and suggestions. If you are participating, how's it going for you? First line: For our anniversary, Sam and I trekked in to the site of our first kiss. Synopsis from Goodreads: Parenting is hard. That's what Edward Rosenberg has always assumed, although his only experience with children has been as the drunken uncle. Now the love of his life, Sam DaCosta, is yearning for fatherhood. Edward's been sober for years. He and Sam are in a good place. Why rock the boat? On the other hand, how can he deny Sam his dream of a family? 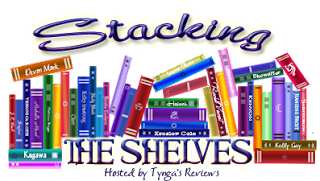 My thoughts: Back in the early Spring, Tara Woolpy contacted me to read her second book in the Lacland series and to provide a backcopy blurb. To say I was excited was an understatement! I've never had anything published before and was a bit nervous. Once I started reading the book, I couldn't put it down. Ginger has had a tough life and her story is certainly not always an easy one to read. Edward and Sam are sharing their life together and end up taking Ginger in. While they have a good, solid relationship, it is not without problems and having Ginger live with them only adds to the tension that is sometimes there. It was easy to fall in love with all three of these characters, along with the other ones we meet throughout the story, such as Henry and Maggie. Raising Wild Ginger is a captivating tale of a newly created family - a family that is not your usual mother-father-child family, but one that still matters to all involved and is at the very heart of the word a family. Of course, this family is not without it's ups and downs, and there are many instances that are heartwarming as well as heart-wrenching. It is an emotional, tender story, and it reminds us just how powerful the love of a family can be. Raising Wild Ginger is a captivating tale of a newly created family...It is an emotional, tender story, and it reminds us just how powerful the love of a family can be. I really enjoyed this second installment of Tara Woolpy's Lacland series and I hope there will be more to come! And while this is the second book, it can definitely be read as a stand-alone. 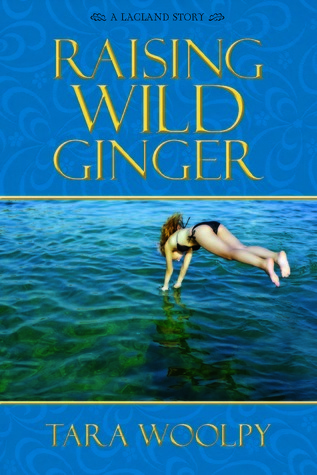 Thank you to Tara Woolpy for sending me a copy of Raising Wild Ginger to read and review - I loved it! Day 1 of Bloggiesta, being hosted by Suey at It's All About Books and Danielle at There's a Book, has come to an end and now we are on to day 2. I got quite a bit done yesterday despite having to run out to the mall on an emergency shopping trip for a cocktail dress for my awards ceremony next week - the dress I had been planning on wearing didn't fit and I needed a new one. Anyway, crisis adverted - I got a great new dress which I love - thank you White House Black Market! Current running time: 6.5 hrs. First line: He was good. From the back cover: The firstborn of a large Irish-American family, Meg Brennan Roberts is a successful publicist, faithful wife, and doting mother who prides herself on always making the right decisions. But years of being “the good woman” have taken a toll and though her winery career thrives, Meg feels burned out and empty, and more disconnected than ever from her increasingly distant husband. Lonely and disheartened, she attends the London Wine Fair with her boss, ruggedly handsome vintner, Chad Hallahan. It’s here, alone together in an exotic city, far from “real” life, that everything changes in one impulsive moment that carries consequences as reckless and irreversible as they are liberating. Now she must decide whether being the person everyone needs is worth losing the woman she was meant to be. 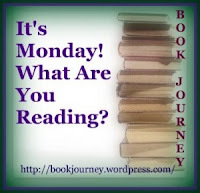 My thoughts: This is the first book in Jane Porter's newest series, the Brennan Sisters Trilogy and I loved it. I love stories about strong women and their relationships with their family, especially those with sisters - having two sisters myself, I feel I can relate many times. In The Good Woman, we meet Meg Brennan Roberts. She seems to have it all - a solid marriage, three children, a successful career as the PR representative for a winery and the support of a strong Catholic family. But things are not as what they seem because deep down, Meg is questioning her 17 year marriage. She has always been the good girl, the good wife, the good mother and she has a strong sense of loyalty and a need for structure. This story looks at how someone who has been so tightly controlled all of her life finds herself doing something that she knows is wrong and also knows could ruin her life. This is a bittersweet story because ultimately Meg is presented with two choices with no truly ideal outcome, but by stepping out of her comfort zone she has to both confront issues from her past that have haunted her, and ask herself what she wants out of life. There's a telling scene where her father tells her that she's always been the one to put pressure on herself to be perfect, even as a toddler. Jane Porter explores the dynamics of the Brennan sisters - all very different, but bonded by sisterhood. We get to know each a little bit and see how their lives all intersect. This gives us a variety of viewpoints on Meg's situation - not an easy task, but one that really helps in keeping the story line feeling real without being preachy. I was totally sucked into this story and had a hard time putting it down. I cannot wait for the next book in the series, The Good Daughter, to come out. Do you tend to enjoy books more when you can relate to one or more of the characters in the story? I received a complimentary copy of The Good Woman by Jane Porter for review. 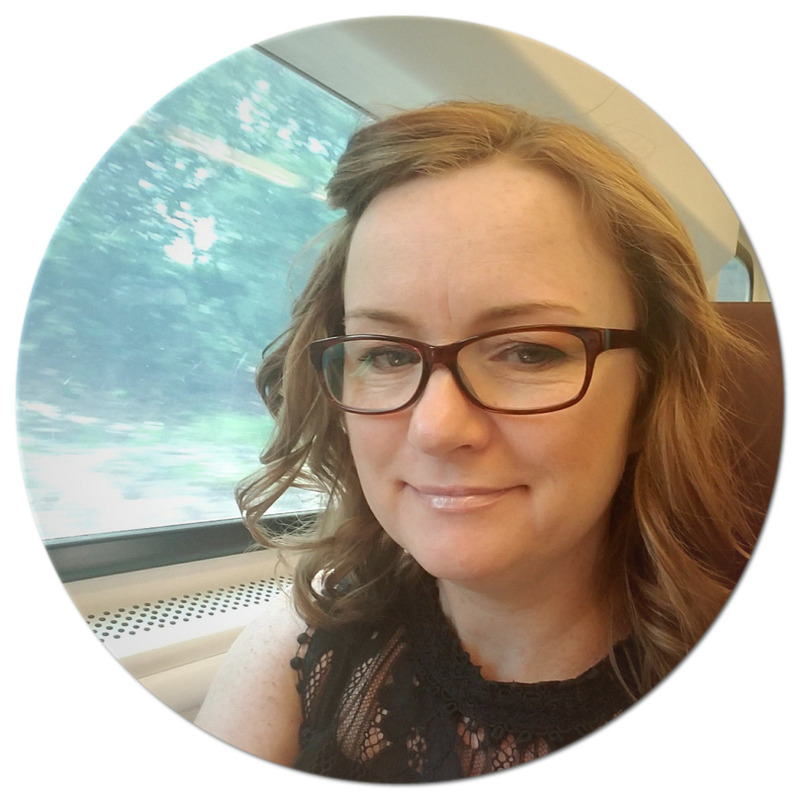 This weekend I will be participating in my fourth Bloggiesta! This is a great weekend blogging marathon being hosted by Suey at It's All About Books and Danielle at There's a Book. First line: We called him Icarus. From the inside cover: For the second time in his short life, Teddy Clock has survived a massacre. Two years ago, he barely escaped when his entire family was slaughtered. Now, at fourteen, in a hideous echo of the past, Teddy is the lone survivor of his foster family’s mass murder. Orphaned once more, the traumatized teenager has nowhere to turn—until the Boston PD puts Detective Jane Rizzoli on the case. Determined to protect this young man, Jane discovers that what seemed like a coincidence is instead just one horrifying part of a relentless killer’s merciless mission. 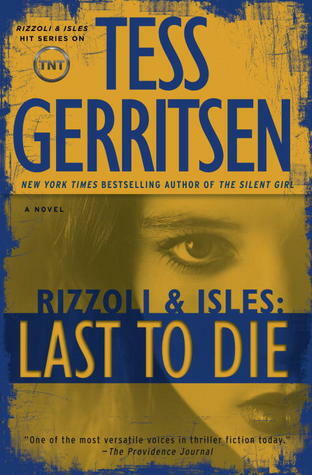 My thoughts: This is the 10th and latest book in Tess Gerritsen's Rizzoli & Isles series and I was thrilled to be given the opportunity to read and review this book. I love the TNT television series Rizzoli & Isles with Angie Harmon and Sasha Alexander and that is actually what got me started on reading this series. Now, I usually like to read books in a series in order and while I've only read the first in this series, I couldn't pass up the opportunity to read this one. Last to Die is a chilling tale of three orphans who can't seem to stay away from harms way and Detective Jane Rizzoli and Medical Examiner Maura Isles team up to save them. The three orphans - Claire, Teddy and Will - are placed at the Evensong Boarding School in Maine, which is run by the mysterious Mephisto Society. This is a school where the students all happen to be victims of some violent crime and are taught survival skills. This was a fast-paced book, with quite a few twists and turns. When all of the lies, deceits and truths come out, it's quite the surprise to find out who was behind the murders of the three families and all the danger they put the three teens in. I love delving into the world of forensic medicine and police work - and I am definitely excited to read the earlier books in the series that I missed. That being said, I just wanted to share this. One of the reasons why I love reading series in order is that you get the complete character development over the course of the series. Does that detract from the enjoyment of this book in particular - no. However, had I read the earlier books, I would have a better understanding of the relationships between some characters, plus, events are mentioned repeatedly that probably happened in earlier books - another reason why I will definitely be reading the earlier books! Have you read any of the books in this series? Do you watch the TV show Rizzoli and Isles? I received a complimentary copy of Last to Die by Tess Gerritsen from Mary at Elevate Communications. 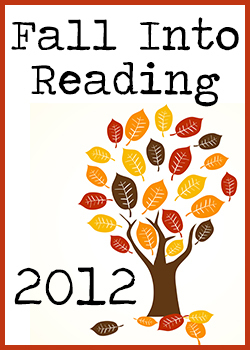 Katrina over at Callapidder Days is hosting the Fall Into Reading Challenge. The challenge is to pick books you would like to read this fall and then keep a record of how you do. The challenge runs from September 22 to December 21. If you'd like to join, head over here to Callapidder Days! 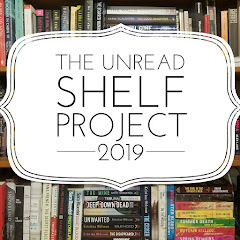 This is a combination of books I need to review as well as books I have on my TBR pile, plus a few new books coming out this fall. Most of these books were strategically picked so that I can complete all the other reading challenges I am participating in. I think I should be able to get through all these, plus a few others. First line: "This latest news from the court pleases me," said Edward Stafford, third Duke of Buckingham, "but my brother's continued confinement in the Tower of London is worrisome." From the back cover: Married to one man. Desiring another. Beautiful Lady Anne Stafford, lady-in- waiting to Queen Catherine of Aragon, is torn between her love for her husband, George, Lord Hastings...and the king’s boon companion, the attentive Sir William Compton. But when King Henry VIII, amorous as always, joins the men clustering around her, Anne realizes she has become perilously enmeshed in the intrigues of the court. Will she be forced to decide between the two men she desires—and the one she doesn’t? Kate Emerson charms again with a heroine who steps out of the pages of history to win our hearts in this sumptuous novel of Tudor scandal and intrigue. 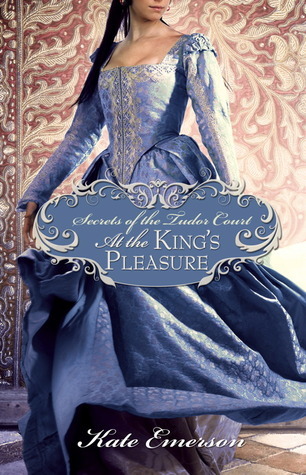 My thoughts: This is the 4th book in Kate Emerson's Secrets of the Tudor Court series and I really enjoyed it. I love how Kate Emerson takes lesser known characters from the court of the Tudor kings and queens and tells us their story. At the King's Pleasure is centered around Anne Stafford, who is sister to the Duke of Buckingham and a lady-in-waiting to Queen Catherine of Aragon. She is married to Lord Hastings, but manages to catch not only King Henry's eye, but also his boon companion, Sir William Compton's eye. Anne is a strong woman but finds herself at the mercy of her brother and her husband, who at one point have her sent to a nunnery for being in the same room with Compton. 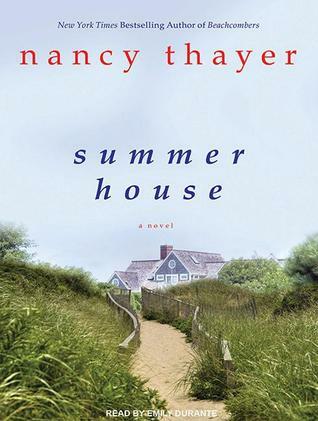 While a main portion of the book deals with this love triangle that Anne finds herself in, it also focuses on the trouble that her own family finds itself in, mainly due to her brother who thinks he deserves more in life than he is given, going as far as to believe he himself should be king. Full of treachery and intrigue, it is easy to get caught up in everything that goes on in this story. There are quite a few scenes at court itself, with the dancing, costumes and food, and of course the jousting events and hunting that the king and his entourage participate in. Kate Emerson gives us enough details that it is easy to feel as if you are right there with the characters. I love reading about the people and court life during the Tudor period. There are so many good books out there that tackle this time period, most of those focusing on the kings and queens. Kate Emerson stands out for tackling the stories of those lesser known courtiers. I'm looking forward to reading the next book in this series, The King's Damsel. First line: "Molly, please try to get through the weekend without any dead bodies," Mrs. Shedd said, pushing the rhinestone-encrusted clipboard across her desk to me. My thoughts: This is the fourth in Betty Hechtman's Crochet Mystery series and it was pretty good. This time around, the setting isn't in Tarzana, but at a retreat on the Monterey Peninsula where the gang is attending the creative retreat that the bookstore that Molly works at hosts. At the last minute, Molly finds out she will be in charge and gets possession of the sparkly rhinestone-encrusted clipboard. Once there, things seem to go from bad to worse. First, there's a complete white-out from the fog that prevents guests from arriving. Then, one of the instructors is found dead and Molly being Molly takes it upon herself to solve the murder. She has her fellow crochet pals with her and they set out to figure things out. This leads to some rather funny moments as well as some harrowing ones, too. I enjoy reading this series. I like the mysteries and am usually stumped as to who did it until the very end. This time was no exception. I also love when the group gets together to crochet - it always makes me want to get my crochet stuff out and as soon as I finished this book, I did just that. I even went as far as to buy a whole bunch of new yarn for some projects to work on this fall. At the moment, I am working on a large granny square blanket that I will be donating to Project Linus with some left over yarn. Then I have a few baby blankets to make for family members that are expecting. Do you crochet? If so, where do you find your patterns? What's your favorite thing to make? Fall is definitely in the air and I am loving it!!! I spent some time this past weekend creating some fall displays around the house - thank you Pinterest for all the great ideas! I love the smell of pumpkin spice candles - even not lit they give the house such a great smell. Hopefully we will be heading to our cabin later this week for a nice long weekend (4-5 days). I'm already planning now what books to bring as I tend to get lots of reading time in while hubby is out cutting trees, fishing, etc. This finally became available for download and I can't wait to listen to it...I really enjoy Nancy Thayer's books. 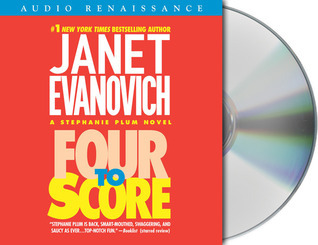 I'm up to the fourth book in Janet Evanovich's Stephanie Plum series. 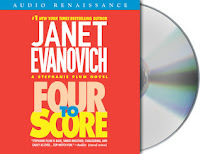 The audio versions are hysterical and I am already halfway through this one!